The Messaging section allows you to send out unlimited email messages and newsletters to your email list(s) at anytime. Warning Income Activator does not support any type of mailing list that has been purchased. It only supports lists from visitors that have given you their emaill address. Otherwise a person may report you as 'spamming' and your Income Activator website will be shut down. Constant Contact is a service we recommend you use if you've purchased a list and to send email from. Scheduled Messaging Your emails can be scheduled to go out. You can also see the number of emails that where opened and if you added a link in your email message you will be able to see if that link was clicked on. 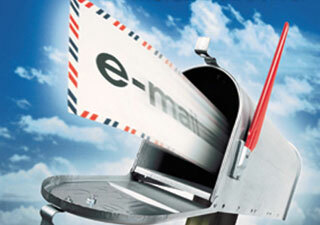 Importing Mailing Lists You can also import your email addresses from your Gmail, Yahoo and other email accounts. Unsubscribing Each of your email messages contains an unsubscribe link at the bottom, this ensures your email is not marked as 'Spam'. To begin, you need to create a mailing list. To do that click on the top bar 'Messaging', then from the dropdown menu click on 'Mailing Lists'. Then to create your email message, click on 'Messages' from the dropdown menu. Then to send a message, click on 'Send A Message' from the dropdown menu. Personalized Greeting Income Activator allows you to collect the 'First Names' & 'Email Addresses' when a visitor to your website enters in their contact information on any form on your website. This means your emails are personalized with the visitor's first name. When creating a form you need to use the right answer fields to collect names and email addresses. Unlimited Messaging You can also email out to your list of visitors from anywhere at any time. There is no limit to the number of times you can email out to your list of visitors and no limit on the number of emails you can send out. 6. Email Marketing To see how to collect email addresses and build a client list, click here. 7. Selling From Your Email List To see how to sell from your email list, click here. 8. Promotional Partner's Email List To see how to sell from a promotional partner's email list, click here.